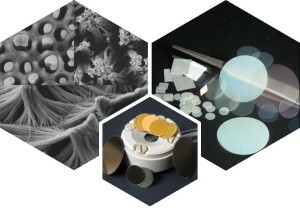 sample size 1/2" to 3"
wafer size 1" to 3"
InRedox offers products based on multiscale materials design and engineering. Our products facilitate discoveries, speed up the ‘idea to publication’ cycle and shorten the time to develop a product for researchers in materials science, nanotechnology, biotechnology, cell biology, sensing, separation, clean energy, nano-electronics, photonics and other disciplines. InRedox’ core product development platform is nanoporous Anodic Aluminum Oxide (AAO) and nanotubular Anodic Titanium Oxide (ATO or NTO) – unique self-organized materials resembling nanoscale honeycomb. Read more about unique attributes of AAO and ATO. 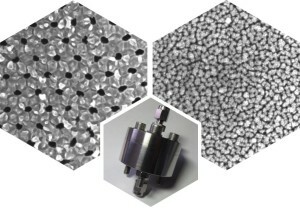 High quality nanoporous Anodic Aluminum Oxide (AAO) and nanotubular Anodic Titanium Oxide (ATO or NTO) in several form factors (AAO wafers, AAO with contacts, AAO films on Al, NTO films on Ti) as well as tooling for templated deposition and other applications. Nanoporous ceramic membranes and filters with highly uniform pores from self-organized Anodic Aluminum Oxide (AAO), as well as hardware for diverse filtration and separation applications. 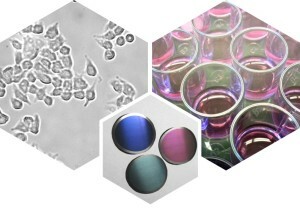 Nanoporous Anodic Aluminum Oxide (AAO) and nanotubular Anodic Titanium Oxide (NTO or ATO) substrates for cell culturing as well as nanoporous AAO filters and filter holders for bioseparation. Under development are nano- and microfluidic devices.